It's that time again! What a Bagel is having their Customer Appreciation Event and giving out Free Bagels! This will be my second year going! Try to go early so there isn't a huge line, but they move pretty fast anyway! The bagels are delicious! 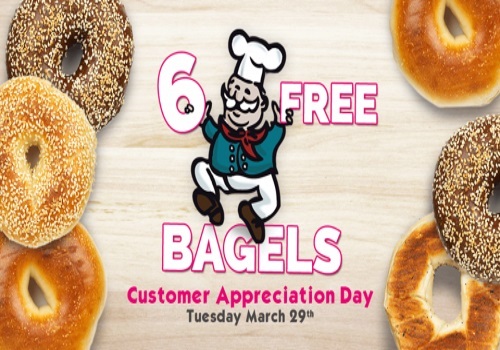 Just stop in at any of their participating locations and get 6 Free bagels on Tuesday, March 29, 2016! Click here to find a What A Bagel near you.